Michael is an independent consultant offering security and business strategy advisory services. As part of his new business, Michael formed the Sky Northern Security Alliance, a partnership of independent and boutique security consulting practices, working together to provide robust, end-to-end security services to clientele across North America. Before starting his own company, Michael was the Director of Security Solutions for Western Canada at TELUS providing a wide ranging solutions from governance, risk and compliance consulting, PCI auditing, security technology acquisition and implementation, managed security services and security outsourcing. Previously, as Director, Global Sales Engineering at Sophos, Michael led a highly knowledgeable, global team responsible for advising customers on their security and control implementations, practices and policies. Some of Sophos’ largest customers - ranging from Fortune500 companies in the financial services, healthcare and telecom sectors, to large government and higher education organizations. A lengthy list of media outlets have sourced him as a security expert including: The Wall Street Journal, The Associated Press, USA Today, New York Times, Business Week, Forbes, The Washington Post, The San Francisco Chronicle and CBC News. Michael speaks publicly on security topics regularly, from lectures at Oxford University to Infosecurity in Moscow, partner conventions in Phuket, Thailand and MBA students at Simon Fraser University. Mr. Clyde is managing director of Clyde Consulting LLC (USA). He also serves as a director on the boards of White Cloud Security (trusted app list enforcement), TZ Holdings (formerly Zimbra), and Xbridge Systems (data discovery software). He chairs the board-level ISACA Finance Committee and has served as a member of ISACA’s Strategic Advisory Council, Conference and Education Board and the IT Governance Institute (ITGI) Advisory Panel. Previously, he was CEO of Adaptive Computing, which provides workload management software for some of the world’s largest cloud, high-performance computing (HPC), and big data environments. Prior to founding Clyde Consulting, he was chief technology officer (CTO) at Symantec and a co-founder of Axent Technologies. Clyde is a frequent speaker at ISACA conferences and for the National Association of Corporate Directors (NACD). 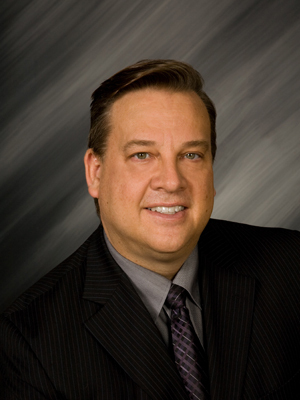 He also serves as an executive advisor to HyTrust and BullGuard and on the industry advisory council for the Management Information Systems (MIS) Department of Utah State University. As Chief Information Officer at ISACA International, Frank Schettini leads the team that is responsible for delivering value to 120,000+ members, volunteer leaders and certification holders through innovative technology strategies and reliable online solutions. Guided by Schettini’s technology vision and leadership, the Business Technology Solutions team integrates and standardizes processes and platforms across multiple geographies, languages and stakeholder expectations. His focus is on transforming the team from a traditional order taking IT organization to a strategic business partner delivering business value and cost effective solutions. With 30 years of experience in various industries Schettini brings significant experience to ISACA in the areas of strategic planning; project, program and portfolio management; process improvement; enterprise architecture; and change management. He joined ISACA after working for Project Management Institute as their Vice President of Information Technology for 8 years. While at PMI, Schettini led the transformation of IT to provide solutions such as Volunteer Relationship Management solution, mobile applications, ERP, Cloud based infrastructure, Data Warehousing/Business Intelligence, chapter solutions. He also led the creation of the Agile Certification, the acquisition of Project Management.com, the PMI Knowledge Strategy, and spoke about the profession around the world. Schettini is a native of Havana, Cuba, and grew up in Baltimore, Maryland, USA. He graduated with a Bachelor of Science in electrical engineering with a computer science minor from Washington University in St. Louis, Missouri, USA. He earned a Master of Business Administration in Finance and International Business from the University of Maryland. Schettini is fluent in Spanish. Having held senior sales and business development roles with a number of technology start - ups as well as Canada’s leading telecommunications providers including TELUS and Bell, Mr. Malczewski is a 27 year veteran of the technology industry in BC. More recently, a realization of how sophisticated cyber criminals, hactivists and rogue nations have become and the risks their efforts to wage war, disrupt society and erode value in cyberspace pose, have led him to pursue a more focused career in the area of IT security. Mr. Malczewski is currently the Sr. Enterprise Account Manager, Western Canada for Websense Inc., a leading web, email and data security solutions provider based in San Diego, CA. Prior to Websense, Mr. Malczewski made his first serious foray into the security industry with Fortinet, a leading manufacturer of next - generation firewall technology where he held the position of Enterprise Account Manager, BC. Mr. Malczewski is keenly interested in working within and outside of the security and privacy communities to foster a collaborative environment amongst like - minded professionals. He believes strongly that with access to the right resources, education and experience, an opportunity exists for Western Canadian security and privacy professionals to demonstrate leadership on a global scale. It’s exciting to work collaboratively with industry peers, partners and customers to solve security problems and minimize organizational risk. Mr. Malczewski is a BC native and lover of the outdoors. He has four children and lives in the South Surrey/White Rock area with his wife Dawn.